Did you see my Coke Can Bracelets? 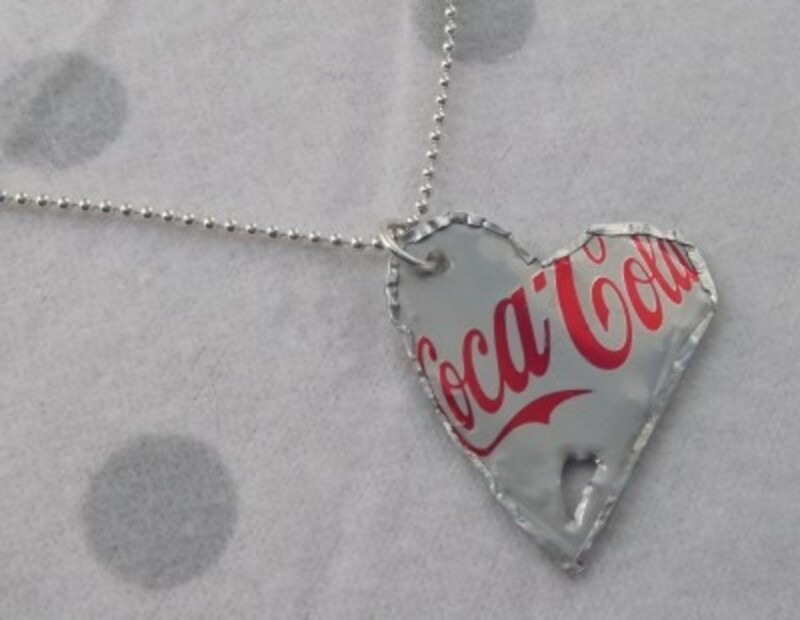 My soda can necklace idea came from that idea, so take a look and then come back here! The idea is simple, cut out your shape and fold over the edges with pliers. Push them flat so that they can’t catch or tear on anything. Punch a hole in the top and add a jump ring, and string it onto a chain. Easy! To embellish there are a couple of different things that you can do. I was lucky enough to have won a metal stamping kit from beaducation.com. They have great online classes to show you how to do everything too. 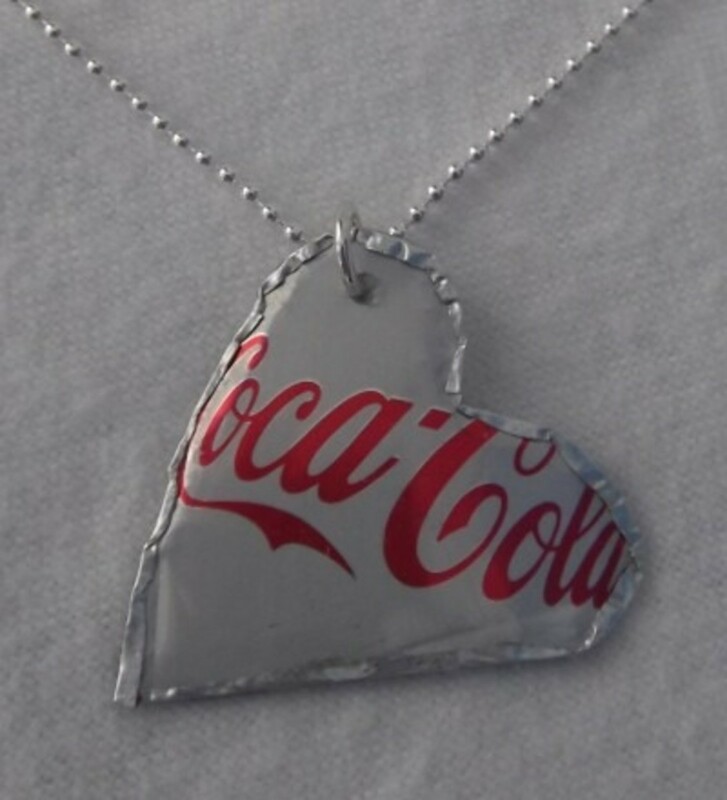 I stamped a heart using a 3 and a V and stamped too hard for the aluminum can and punched right through the first time. 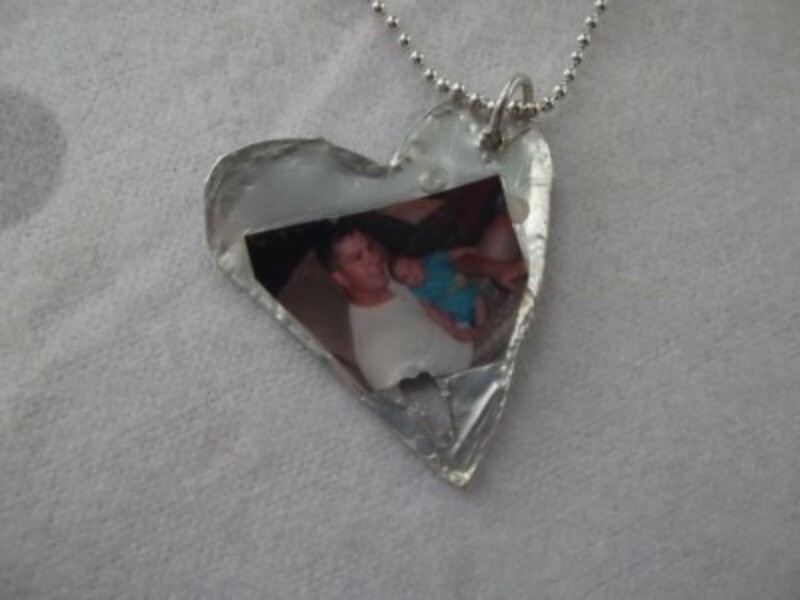 It was able to be saved and made a cute heart cut-out in the necklace. So don’t go too hard if you are stamping a soda can. You can check out the tags I made the same way for my envelope system wallet. Another way to embellish is to add your own picture or design. I have been looking everywhere for a locket and they seem to have gone out of style, and there aren’t very many choices. I recently discovered dimensional magic and loved it! 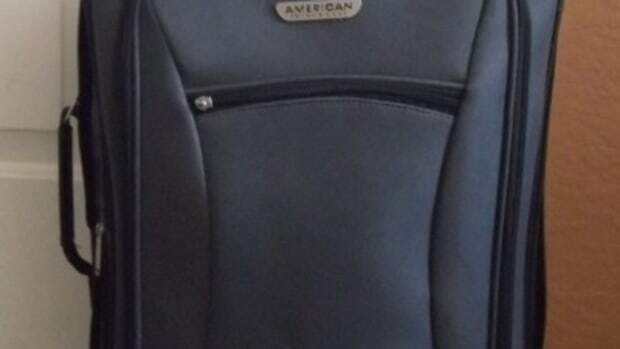 You can see my first post about it here. I’ve found that it works great for creating jewelry pieces! I put a picture of my two boys on the back and put some dimensional magic over the top. During the drying time the dimensional magic was smeared onto a newspaper but it was able to be saved and just had a thinner coat. It was just a test piece, but it turned out surprisingly well, so I have been wearing it for a few weeks. It’s not sharp, but it is a little bulky for me. I sleep with it on and it has been fine so far, I would like a tiny bit longer chain. I found this chain guide on Pinterest for when I buy my new one. Overall it was a cute and easy project, and those are my favorite! Have fun making your new jewelry! 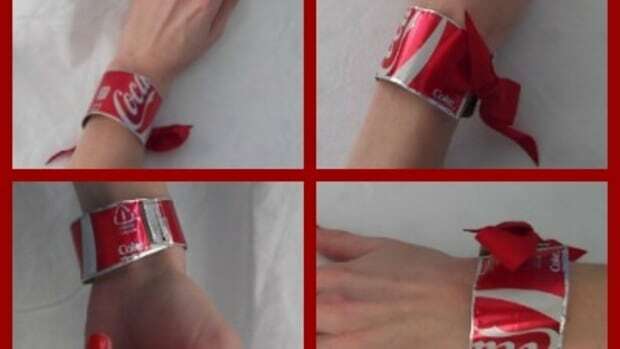 I found a picture of a Coke can bracelet and a few other brand soda can bracelets on Pinterest. I love to make knit hats with my knitting loom. 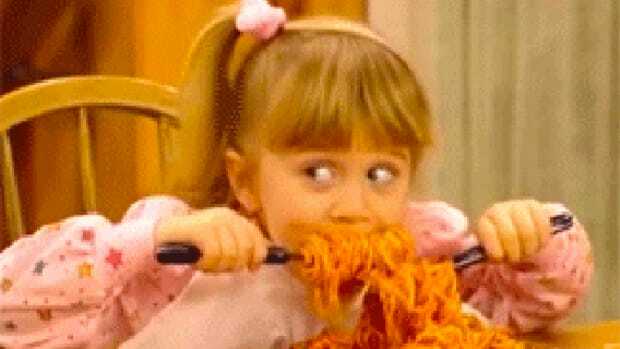 I like variety at dinner time. 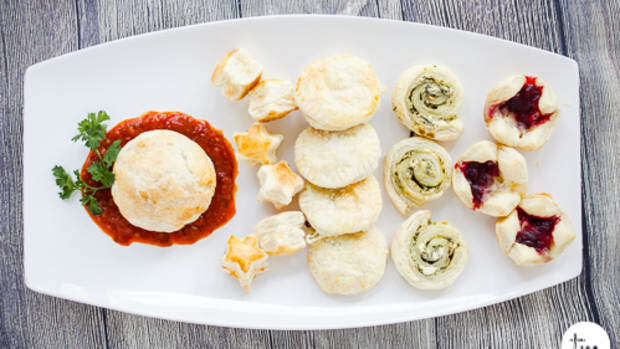 But did you know that one pantry staple can create 20 different dishes? 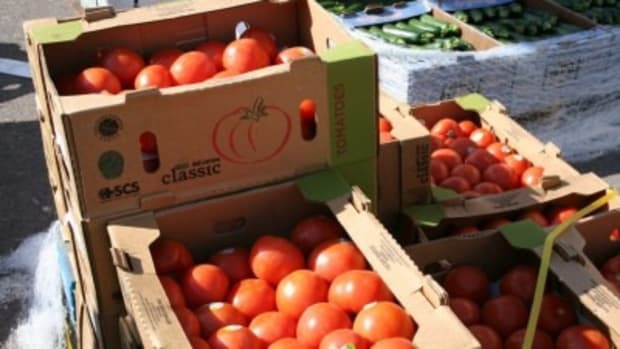 After a good Farmer’s Market you need to do something with all the extra vegetables that you won’t use soon enough.